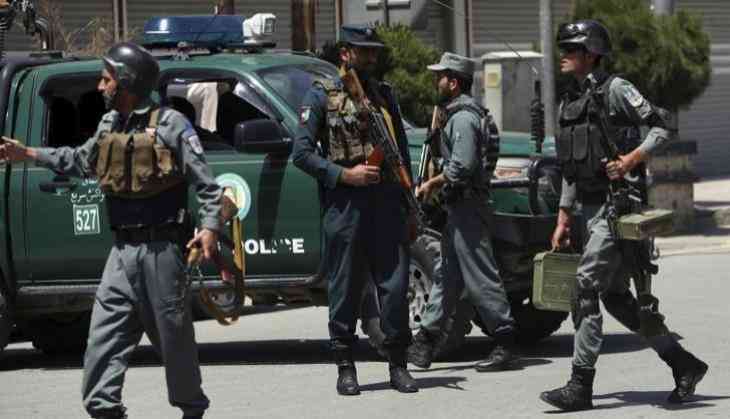 An Afghan official says at least five police officers have been killed in an insurgent attack on their base in northwestern Badghis province. Jamshid Shahabi, spokesman for the provincial governor, says around 22 Taliban were killed, and 16 others were wounded during the gunbattle earlier Monday morning. Shahabi says Abdul Hakim, the police commander of the reserve unit, was among those killed in the attack that took place near Qala-i-Now, the capital of the province. No group has claimed responsibility for the attack, but Shahabi blamed the Taliban. The militant group has a strong presence there and often attack on Afghan security forces.